You’re reading novel Chaotic Sword God Chapter 697: The Flood Dragon Bandits online at LightNovelFree.com. Please use the follow button to get notification about the latest chapter next time when you visit LightNovelFree.com. Use F11 button to read novel in full-screen(PC only). Drop by anytime you want to read free – fast – latest novel. It’s great if you could leave a comment, share your opinion about the new chapters, new novel with others on the internet. We’ll do our best to bring you the finest, latest novel everyday. Enjoy! “Currently, the great elders of my Tianqin clan have already gone to Coiled Dragon Mountain to negotiate with the boss of the Flood Dragon Bandits in attempt to save Qin Qin. But we don’t know what the outcome is, and if the negotiation fails, Qin Qin will…” Reaching the end, the patriarch of the Tianqin clan secretly sighed. The Flood Dragon Bandits were so strong that even the Zhuya Kingdom did not dare to casually provoke them, so if the negotiation failed, Qin Qin could only be forced into marriage with the son of the Flood Dragon Bandits’ boss. “Xiao’er, sit down. You need to understand the current situation. How can you be so hot-headed and attempt to do something above your abilities? If you act recklessly, you’ll pull the Tianqin clan into eternal d.a.m.nation.” The patriarch of the Tianqin clan swiftly looked at Qin Xiao and scolded him with a low voice. Qin Xiao’s position as the future patriarch of the Tianqin clan was something already established, so he did not allow his son to be so hot-headed. “Father, do we really have to watch sister getting married to a bandit while we can’t do anything?” Qin Xiao refuted unrelentingly. As soon as he finished speaking, Jian Chen felt two powerful presences approach the Tianqin clan from far away. In the end, they entered the Tianqin clan, heading directly for the hall. Jian Chen saw two elderly but ruddy men in long white robes walk in. On their faces, they revealed a sliver of helplessness and regret mixed in with some anger. Jian Chen sat without moving in his seat and gazed indifferently at the two great elder. He was unfamiliar with the two great elders as neither of them were the person who had accompanied them to Mercenary City. “Two great elders, I wonder how the negotiations went. Were the Flood Dragon Bandits willing to release my sister?” Qin Xiao stared at the two great elders anxiously. The two of them carried all the hope there was. “The third elder has already gone to contact other experts. Perhaps he can convince them to join forces with us and fight the Flood Dragon Bandits. If we raise enough power, we can try fighting with the bandits.” The patriarch of the Tianqin clan said softly. When the Flood Dragon Bandits had kidnapped an immediate member of the Tianqin clan to marry with the bandit’s son, it was basically slapping the Tianqin clan in the face. 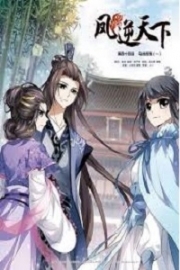 If the marriage really did happen, just what dignity would the Tianqin clan still possess to remain established in Walaurent City? “I reckon third elder will definitely return with failure. The experts of the surrounding countries know exactly how strong the boss of the Flood Dragon Bandits are. Why would anybody risk their lives to offend the bandit boss?” A great elder sighed lightly. At this moment, another powerful presence flew towards the Tianqin clan from far away, arriving at the hall not long after. The newcomer was also an elderly, ruddy man in long white robes. He was the Heaven Saint Master that had accompanied Jian Chen to Mercenary City. Hearing what was said, everyone in the hall became gloomy. Everyone’s gaze immediately gathered on Jian Chen and the three great elders were not exceptions either. However, two of the three had never seen Jian Chen, so they could not help but reveal a sliver of doubt. Closely afterwards, their eyes began glowing with a light, observing Jian Chen’s strength. However, no matter how they looked, they were unable to see Jian Chen’s strength because to them, Jian Chen was just an extremely ordinary person, not a cultivator in any shape or form. However, they soon felt an indescribable grace from Jian Chen, as if he was fused with the world, where he represented the world. The two great elders looked at each other with a rather solemn gaze. Although Jian Chen seemed like an ordinary person to them, they naturally did not believe Jian Chen was as ordinary as he seemed. “Brother Jian Chen, it’s actually you!” As the third great elder had seen Jian Chen before, he recognised Jian Chen with a single glance and immediately revealed a surprised expression. 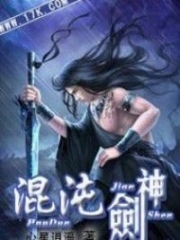 You're reading novel Chaotic Sword God Chapter 697: The Flood Dragon Bandits online at LightNovelFree.com. You can use the follow function to bookmark your favorite novel ( Only for registered users ). If you find any errors ( broken links, can't load photos, etc.. ), Please let us know so we can fix it as soon as possible. And when you start a conversation or debate about a certain topic with other people, please do not offend them just because you don't like their opinions. You're reading Chaotic Sword God Chapter 697: The Flood Dragon Bandits. This novel has been translated by Updating. 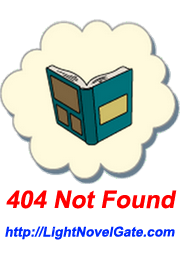 Author: Xin Xing Xiao Yao already has 11152 views. Current Time is Apr-23-2019 00:09:43 AM.